Greenville Hurricanes Varsity vs Alumni game under the lights. HCYA Hurricanes 2017 Alumni Soccer Match. East Indy Trailblazers: Coach/Player, Father/Daughter an October "Top Pick" pic! Southside Thunder 48 Attending Soccer Camp! CVHAA Patriots Boys Soccer Successful Soccer Camp! CVHAA Patriots Recognition of Seniors - Congratulations to our senior players: Holton Barnes, Caleb Dakin, Michael Denison, Brock McNerney, and Dell Well!! after two seven minute overtimes and a regular shoot out. Great job, girls and coaches! HCYA Hurricanes (click here for their team profile) pre-season soccer training is underway. KC East Lions (click here for their team profile) soccer team is currently 13-1-1 on the season. Aaron Academy (click here for their team profile) posted their team photo. CSTHEA Patriots (click here for their team profile) group huddle from this Chattanooga team. Front Royal Flames (click here for their team profile) Development Soccer Program is in full swing! 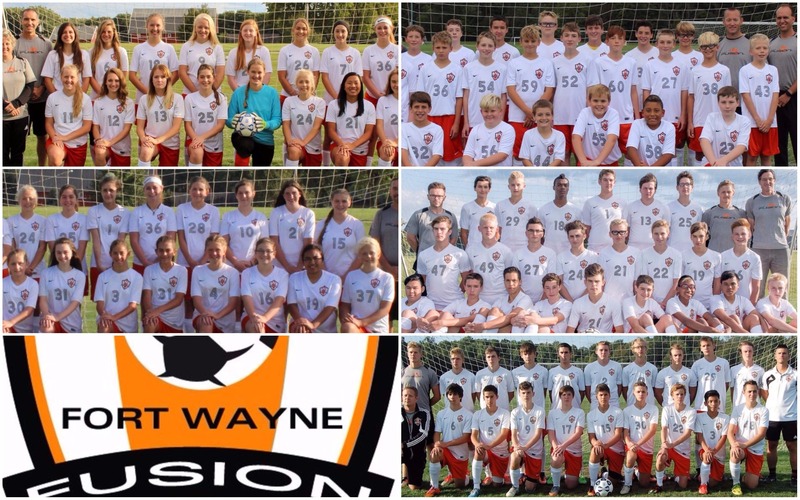 Fort Wayne Fusion Orange Champions of the Indiana State Homeschool Soccer Championships. CVHAA Patriots(VA) Varsity Soccer Team. Genesis United (IN) Congratulations to these ladies in going undefeated in the regular season versus other homeschool teams. 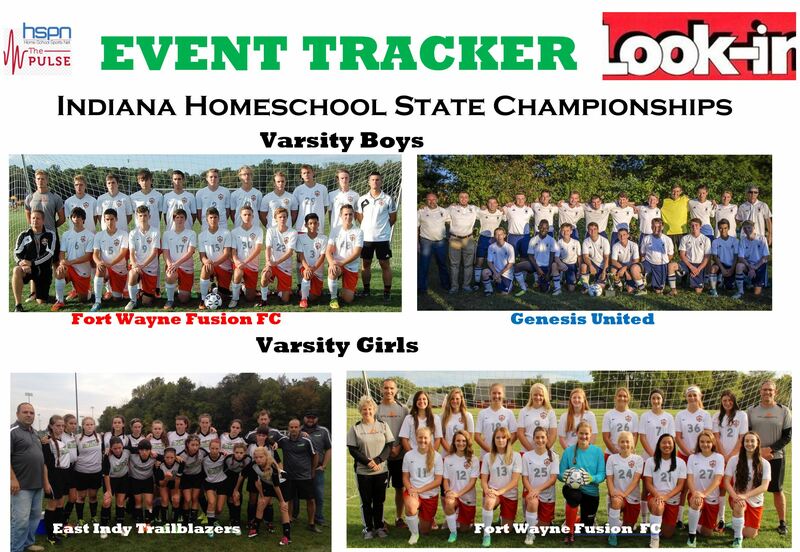 Over the last four years, they are 35-1 against other Indiana homeschool teams. Their unselfish play for the team has been a foundation. Aaron Academy Royals (TN) Girls Varsity soccer team. Coaches Training Room is the source for professional soccer session videos, PDF's, articles and webinars. An excellent resource for soccer coaches looking to expand their coaching knowledge. Visit www.coachestrainingroom.com for more details. Monee Patriots - sorting soccer jerseys the homeschool way! Aaron Academy Royals - (from FB post) 2nd Place in the MTAC conference. What a great season! Front Royal Flames (from FB post) The girls' soccer team after their victory against Mountain View Christian Academy. Denver Eagles (from FB post) Congratulations Denver Eagles Varsity Girls Soccer - 2015 FRCAA Champions! TENNESSEE: Aaron Academy Royals High School Soccer team. NORTH CAROLINA: Fayetteville Homeschool Crusaders Varsity Girls soccer vs Wilmington Cardinals. (credit: Shanon Cimbura) **Nominated for "Photo of the Year" ** To see all of the "Photo of the Year" nominees so far, visit our Facebook Photo Album and VOTE!!! TENNESSEE: Aaron Academy Royals MS Soccer team had a successful season. MONTANA: Great Falls Homeschool Bulldogs (photo courtesy Carol Sollid). VIRGINIA: Front Royal Flames varsity soccer first match of the season vs Wakefield Country Day (photo courtesy Laurie Patrick). NORTH CAROLINA: Southeastern Homeschool Cardinals Boys Varsity soccer team. TENNESSEE: Some of the Lady Nighthawks muggin'-it-up after a big win against SBEC on Tuesday.